Walgreens- super cheap blow dryers! 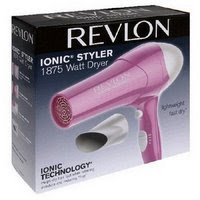 Walgreen’s has Revlon hair dryers on sale for $19.99 this week When you buy one, you will get a $10 RR making each hair dryer ONLY $9.99 plus tax! HOWEVER- Some people have reported finding the dryers for only $12.99, making them only $2.99 after RR! WOW now thats a DEAL!